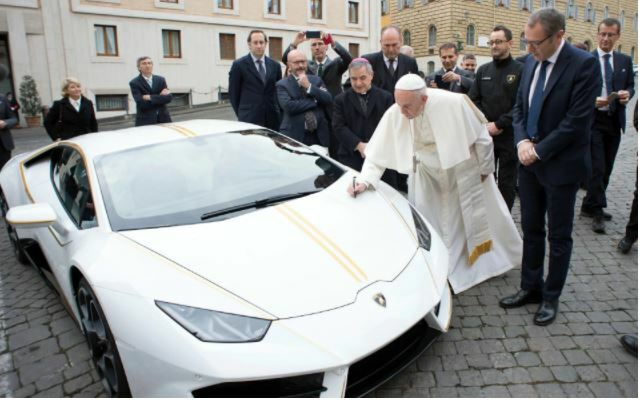 A Lamborghini sports car worth a whopping N76 million has been given to the head of the Catholic Church, Pope Francis as a gift. 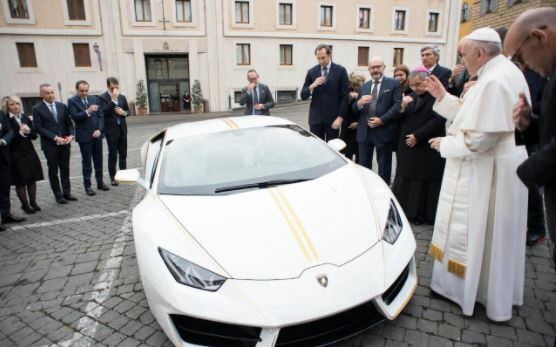 Pope Francis on Wednesday got a Lamborghini sports car as a gift. 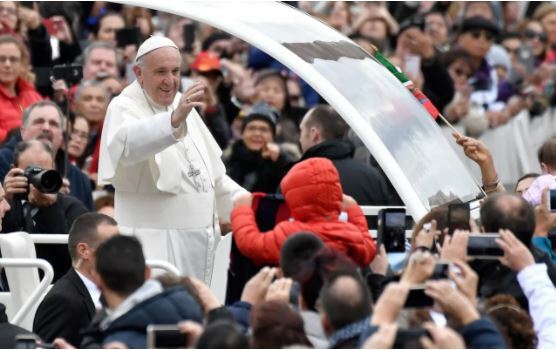 The white-painted, special edition Lamborghini Huracan, which sells for around 180,000 euros (N76 million), perfectly matched the pope’s white cassock as he blessed it outside the Casa Santa Marta, the guesthouse within the Vatican where he lives. Sadly, will not be seen cruising around in the car as he has pledged to auction with the proceeds to go to three of the pontiff’s favoured charities. They include a fund to rebuild homes and churches for Christians chased out of Iraq by Islamic State terrorists. The rebuilding efforts will be focused on the Nineveh Plains, north-east of Mosul, where Christians were forced to flee years of fighting. The aim is to allow Christians who were forced to leave the region “to finally return to their roots and recover their dignity,” the Holy See said. Of the two other charities that will benefit from the sale, one helps migrant women who are trafficked and forced into prostitution and another provides medical aid in Africa. The Pope’s blessing of the car is likely to ensure that it sells for far more than its original value. When he was given a Harley-Davidson motorcycle in 2013, it sold a year later at auction in Paris for $327,000, despite retailing for around $13,000. The fact that the Pope had signed his name on the tank hugely increased its value. A leather Harley-Davidson motorcycle jacket, also signed by Francis, sold for $77,000. Proceeds from the auction at Bonhams went to a hostel and soup kitchen for the homeless at Rome’s main train station. Harley-Davidson gave the motorbike to the Pope as a gift to mark its 110th anniversary.